This is a repost from my old Psychology of Work blog. I thought it was relevant because this is Women’s history month and this post is tangentially related to issues of networking ,opportunity, and inclusion. The recent news about Catherine Hardwicke being blackballed even though she’s the most successful director in Hollywood history also reminded me of this post. 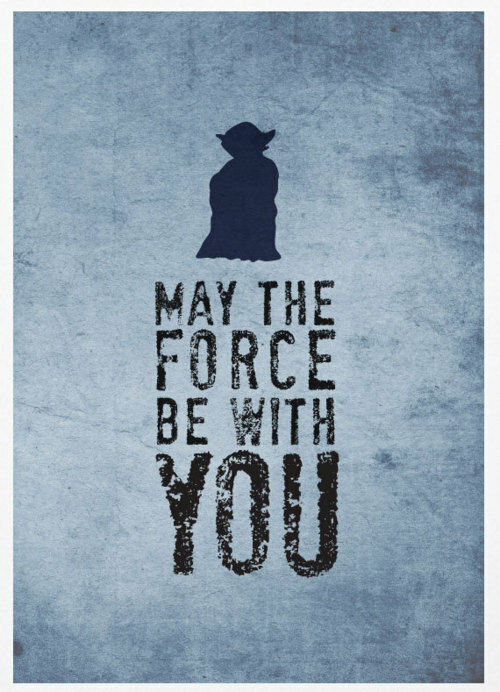 Last week the Star Wars fan community celebrated May the 4th which is Star Wars Day As a long time Star Wars fan I am very excited about the upcoming Star Wars sequels. However, this past Star Wars Day revealed a situation in Hollywood that I found fascinating in light of diversity issues. Josh Trank (director of Chronicle and the upcoming Fantastic Four) recently left the production of a Boba Fett (YES!) Star Wars prequel. Over at Birth.Movies.Death there was a suggestion made by Devin Faraci that the next director of the film should be a woman. While there’s some data suggesting that female directors get short shrift in Hollywood and a lawsuit filed by the ACLU about the lack of female directors in Hollywood I’m not interested in lobbying for a particular director for a Boba Fett prequel (Michelle McLaren!) I’m more interested in something else that Faraci highlights in his piece. Specifically how people get jobs as a director on a particular film through networking and referrals. Faraci’s example comes from the tweet embedded below where director Brad Bird (Mission Impossible: Ghost Protocol) recommended director Colin Trevorrow for the film Jurassic World. However, there’s an entire networking process that can occur even before someone submits their application. The Brad Bird-Colin Trevorrow anecdotes seems to indicate that directors that are similar on some demographic characteristics tend to network with one another and eventually recruit others into actual jobs. Research (Howard & Ferris, 1996) indicates that interviewer-interviewee similarity has an impact on hiring in the interview process. This ‘similar to me’ effect has also been studied in the work of Forrett & Dougherty (2004). Their research indicated that women were shut out of some networking opportunities that men had. In other words perhaps there was an “old boys club” that networked and produced opportunities for those who were part of the club (in this case men). They also discovered that there was a negative relationship between networking activities and compensation for women. Which seemed to indicate that women weren’t reaping the benefits of networking behavior. Perhaps there are hidden costs or limitations for women who attempt to access established job networks. In a recent study by van den Brink and Benschop (2014) we might have a solution. Their study focused on the role of gatekeepers in the networking process. These researchers looked at networking behavior and the role of gatekeepers in academia. Academia is as far from Hollywood as we might imagine unless you’re talking about Annie Hall however both industries have a gatekeeper issue. Van den Brink & Benschop highlighted the fact that even though hiring of women might be favored the networking process excluded women from that procedure. Overall, the study highlights a dismal lack of access to gatekeepers in academia. These quantitative results and qualitative evidence of networking seem to highlight the importance of rules such as the Rooney Rule. The Rooney Rule requires that NFL teams interview at least one minority candidate before making a final decision. The Rooney Rule introduced black head coaching candidates to white owners. In other words it created an opportunity where these individuals could network effectively as well as interview for these positions. Diversity initiatives need more than just statements of support for minority candidates. These types of initiatives need to give minority candidates real access to gatekeepers. The Rooney Rule is a case study in success that could be replicated in other industries. When minority candidates receive access to networking as well as interviewing opportunities, they can develop the confidence necessary to move forward through the hiring process. Minority candidates get the opportunity to meet and impress gatekeepers in their industry and those who are part of the established network gain an increased awareness of minority talent. While I doubt that the Hollywood director hiring process could sustain a Rooney Rule, most industries could create more opportunities for minority candidates to access the interview process and the hidden networks in their respective industries. This type of access could create real change in numerous industries from the tech industry to the manufacturing industry. Finding ways to give people the opportunity to meet with gatekeepers can change the perceptions of gatekeepers, give salient experience to applicants, and ultimately create a more level playing field for applicants. Do you, dear reader, have any suggestions for how to improve access to gatekeepers for minority candidates? Is networking the problem or are there other diversity initiatives that we should be paying attention to? Leave your thoughts in the comments below. I’ll be interested to see how the ACLU lawsuit plays out and whether that actually results in more female directors in Hollywood.